If you have been following my last few posts you will have noticed a theme: skin irritants. Two of the main swimming pool chlorine side effects are irritation of the skin and lungs, so in this blog, I will give you some tips on how to reduce your exposure to chlorine. I’ll also tell you about some fabulous alternatives to chlorinated pools. Chlorine is used in our domestic water and most of our swimming pools to kill pathogenic bacteria, parasites and viruses but not without adverse health and environmental effects. 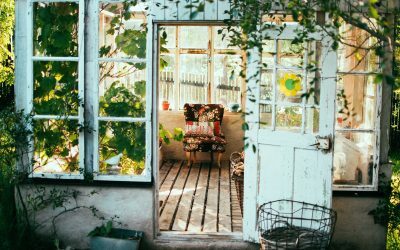 Living in Australia, it’s hard to get away from the topic of water – either the scarcity of it or its necessity on long hot summer days depending on where you live. Most of us seek it out. 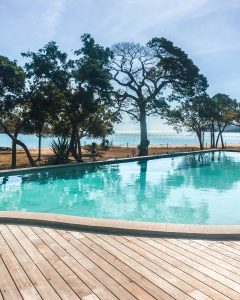 Whilst swimming in a natural body of water, such as seawater or freshwater, far outweighs the health and eco benefits of any other form of artificial pool, it’s hard to resist the temptation of jumping into a backyard or local swimming pool to cool off or for exercise. Swimming is a fabulous form of exercise and a really important skill to learn. My young children live in the pool during summer. But those who swim competitively all year round are at much greater risk of the adverse effects of chlorine. The problem is, chlorinated pools can irritate the airways of swimmers, increasing the development of asthma and respiratory allergies such as hayfever and allergic rhinitis. When chlorine reacts with organic matter (leaves, skin etc.) in the water it creates toxic disinfection by-products known as trihalomethanes (THMs). These are Volatile Organic Compounds that are highly carcinogenic. It’s a good example of how we are solving one problem but creating another. These by-products are over 1000 times more toxic than chlorine itself and are linked with colon, kidney and bladder cancer, especially after long-term use. In a 2007 study, participants who drank chlorinated water had a 35 percent greater risk of bladder cancer than those who didn’t, while those who swam in chlorinated pools had a 57% greater risk. These THMs can be found in higher levels in swimming pools than in unfiltered tap water because they stay in the air just above the pool and you inhale them as you swim. The longer children spend in the chlorinated water, the greater the risk of them developing asthma and allergies. For example, the risk of hayfever was up to seven times higher for ‘sensitive’ children who swam in chlorinated pools for more than 100 hours, while the risk of allergic rhinitis was up to 3.5 times higher for those who swam in chlorinated pools for more than 1000 hours. For those of us who don’t swim competitively but enjoy a dip in our own pool, if you are currently on the lookout for a swimming pool winter bargain, I’d highly recommend you look at the method of treatment you use to keep all those yucky microbes at bay. There are many alternatives to chlorine. We inherited a salt water pool when we moved into our home ten years ago. I love the absence of the strong chlorine smell but salt water pools still require the addition of chlorine from time to time. If we were to convert our pool to a less toxic option, hands-down I’d convert it to a beautiful natural pool which I’ll tell you about below. Where possible avoid both chlorinated or brominated swimming pools – the latter is believed to be even more toxic than chlorine pools. If you do swim in a chlorinated pool try to make it an outdoors one. Chlorine off-gases into the air so you are significantly increasing the risk of any adverse impacts by swimming indoors. Jump out immediately if you experience any irritation to your skin or eyes. Rub in a body oil such as coconut oil before popping in the pool, especially if you have skin conditions such as eczema – a lot of people report anecdotally that this significantly reduces the irritation by slowing down the absorption of chlorine. Shower before and after you use the pool. Showering before can reduce the organic matter that reacts with chlorine forming the nasty THMs. Showering afterwards using non-toxic soaps will also help remove the chlorine deposited on your body. Bear in mind that if you are using the swimming pool shower facilities, there is going to be chlorine in the tap water too but the concentration will be way less than the pool. To detox afterwards, take an Epsom salt bath. Better still, apply a transdermal Epsom Salts cream available from a compounding chemist immediately after getting out of the pool. As I mentioned in my previous blog, chlorine is a known oxidant which dries and ages the skin. The antidote is an anti-oxidant such as Vitamin C so have a chat with your health practitioner about this too. Installing a new pool or converting? Installation or conversion of an existing pool into a natural swim pool such as these shown here. My first choice: align with nature. Requiring no chlorine or any other toxic chemicals, a special regeneration zone is planted with aquatic plants in sand beds, which oxygenate and filter the water naturally. The regeneration zone is separated from the swimming area by a dividing wall. The pools can be heated to 26oC. An Ozone system. These systems are very popular in Europe and work by oxidising pathogens to death. Unlike chlorine, ozone leaves no by-products except pure oxygen so that in itself is a massive improvement. The ozone sanitises the water on entry to the pool but usually works in conjunction with a small amount of sanitiser, such as chlorine or bromine, to keep a residual degree of cleansing in the water for any swimmers entering the pool. Ionisers (usually copper and silver which act as algaecides and biocides) are often used in conjunction with the ozone system. With this method the risk of over-chlorination is reduced as the amount used is minimal but if you want a completely chlorine-free pool, be specific in what you ask. SwimFresh is an Australian-made 100% chlorine free system which uses ozone combined with three natural sanitisers: ozone, silver and copper ions. No chlorine is made. The Enviroswim system is unique using three processes: electronic oxidising, ionisation and ultrasonics to annihilate bacteria, fungi and viruses from your pool. It eliminates most of the regular consumables including salt, chlorine, hydrogen peroxide and stabiliser. UV filtration. Pool water is irradiated by ultraviolet light which destroys existing bacteria. It works in much the same way as the ozone system, that is, it is not a standalone system and usually works in conjunction with chlorine, so please ask questions. Salt water pool. The chlorine gas from the salt (NaCl) combines with water and turns it into hypochlorous acid (HOCl) through the process of electrolysis. The HOCl is actually a non-toxic form of chlorine which unlike traditional chlorine (sodium hypochlorite) does not break down into toxic by-products. Although a salt water pool reduces maintenance and chlorine side-effects, there is still a need from time to time to add small amounts of chlorine to get the chemical balance right. So in my view they are not ideal. 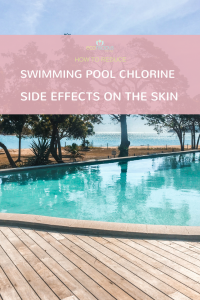 Hopefully, these tips help you to make choices that will help reduce those swimming pool chlorine side effects on your skin. 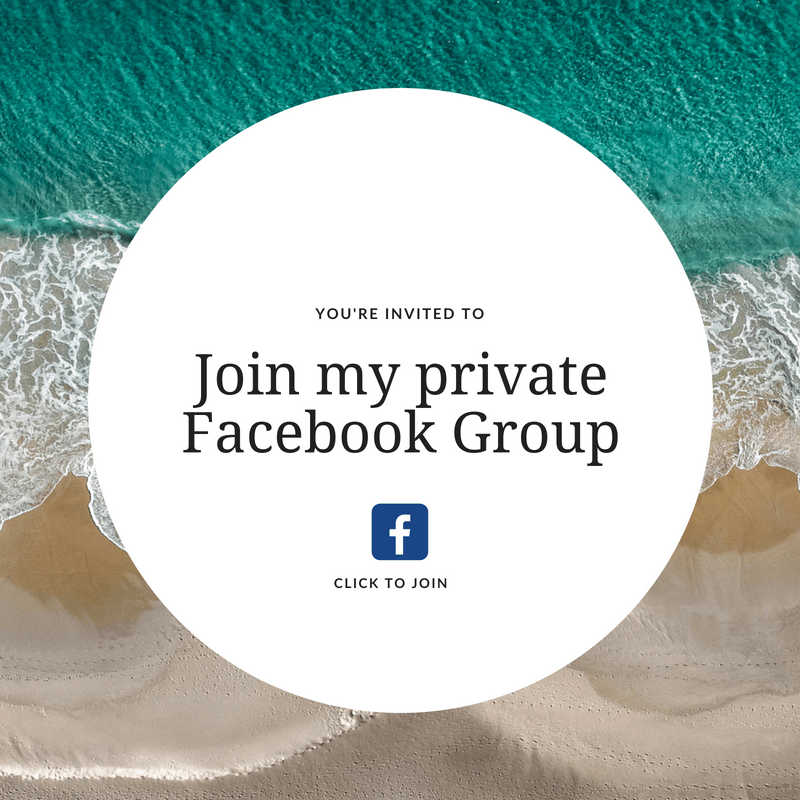 If you have any questions feel free to send me a message and for more healthy home tips and knowledge join the Econscious Living Facebook Group: it’s a community for likeminded people to share products and advice about all things natural living – would love to have you join! 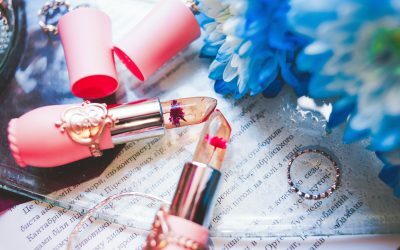 Fragrance can be found in your bin liners, bedding, personal care products, and plenty more but this concoction of chemicals needs to be considered! 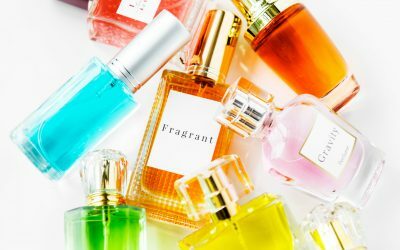 Is fragrance bad for you? Getting your head around which harmful ingredients in skincare products to avoid is enough to give anyone a headache. There are hundreds of chemicals that go into the production of beauty products and personal care products. Most of them are not good for you or your skin.